Look, I need to apologize to all of you. Like so many of us, I’ve gotten a bit delirious from the potential of a loss of 93% of my required sunlight for a few minutes today, and as a result I may have pushed the idea that the Mitsubishi Eclipse is named for the astronomic phenomenon we’ll see today involving the moon and sun. It’s not. It’s named for a horse. Yep, a horse. I mean, not just any horse; the car is named for Eclipse, a champion racehorse born in 1764. Eclipse was a legendary, unbeaten racehorse. Physically larger than almost every other horse at the time (his heart was later found to be twice the size of normal horses), and with stamina and speed to match, Eclipse was like a superhorse sent by horse-god to win races. Eclipse only had a 17-month racing career, but in that time he won 18 races. His career was short because eventually, nobody would agree to race against him, thanks to almost certain fear of defeat. With no challengers willing to take on Eclipse, he was put out to stud. Eclipse’s genes must have some kind of magic in them, because decendants of eclipse include winners such as Barbaro, all the Kentucky Derby winners in the past 50 years save for three, and the famous Secretariat. That’s a hell of a horse. 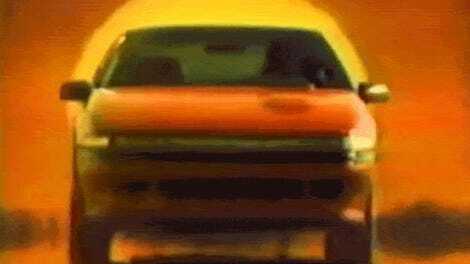 Really, it’s not surprising Mitsubishi named their new sports car after a horse, since they’ve shown a fondness for horse names in the past: the Mitsubishi Colt, and the Starion, which, while not a corruption of “stallion” like is often claimed, is a name that references Arion, fast, immortal horse from Greek mythology. 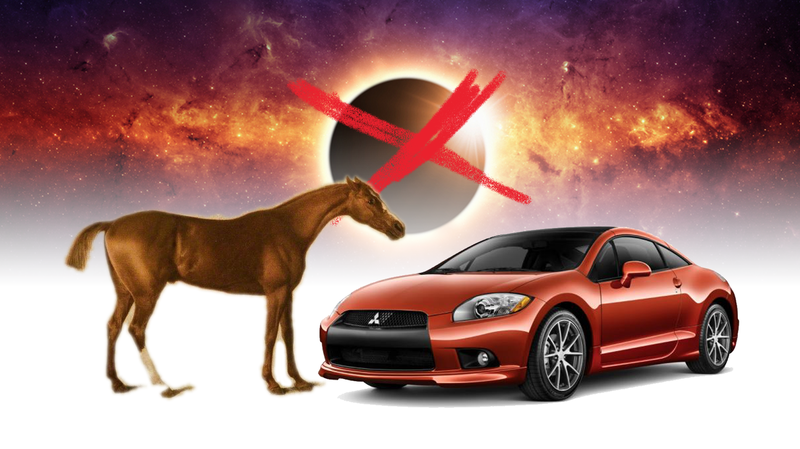 So, if you somehow miss today’s eclipse but still want to take a moment to appreciate Mitsubishi’s great sportscar, just head over to your local stable and feed a horse an apple or something. It’ll be closer to what Mitsubishi intended.